We have extracted Election results data from Australian official website for the year 2013, 2010 and 2007 and then we have calculated the margins/Swings for vote base from the year 2010 to 2013. 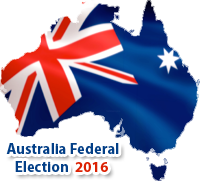 Read More: Australia Exit Poll Have started coming in. Most of them showing Coalition winning. How the Voting pattern has changed for two party preferred voting. If a particular party has a party swing or a negative one in a particular division.